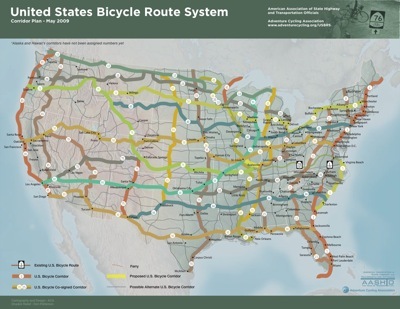 The Adventure Cycling Association and others have teamed up with the American Association of State Highway Transportation Officials to develop a U.S. Bicycle Route System. Well that’s cool and I’m thinking of what routes would connect here in Washington State … readers? Besides the Mobile Socials we do, we’re going to ride across the country one day.